The Oakland community unfortunately is not in an unfamiliar place: the search for a new superintendent. 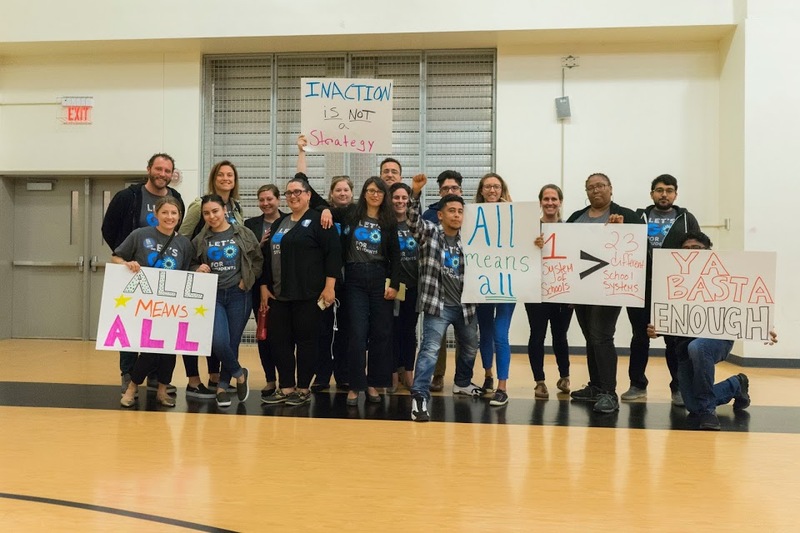 Over the last 50 years, Oakland Unified has seen 24 superintendents (check out this blog from Educate78 on OUSD Superintendents: Now and Then). We move forward together, and with that have a responsibility to Oakland students to ensure our School Board selects the best leader for Oakland students. Here at GO Public Schools, we are committed to providing timely updates as the search progresses and lift up opportunities for the Board to hear from the community to inform their selection. 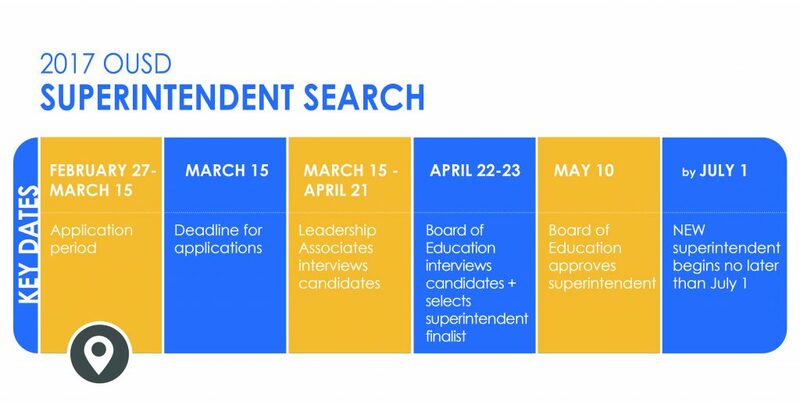 In this first update, we highlight the work of a superintendent, recap the Board’s announced selection process, and offer some context on how a superintendent search generally works. The superintendent reports directly to the school board, acting as the chief administrator of a school district. 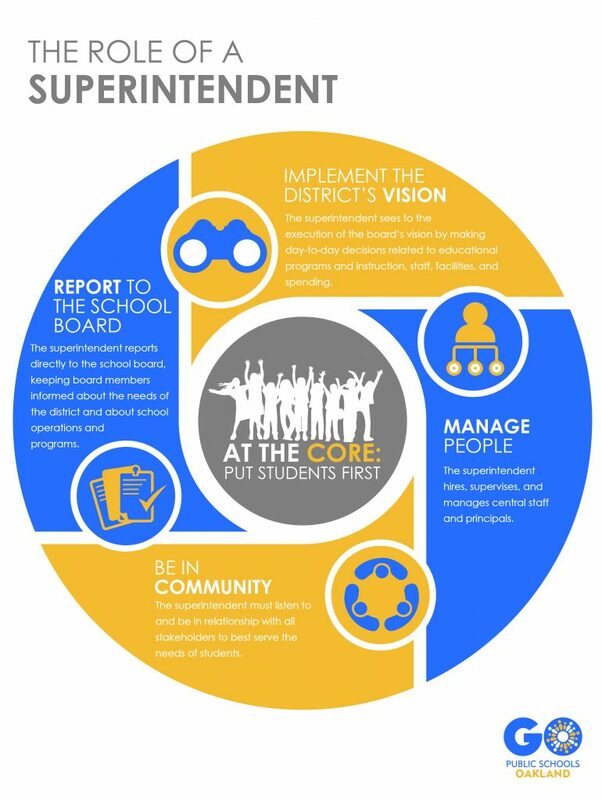 The responsibilities of the superintendent are many — highlighted below are some of the most important. With some of the most important responsibilities for the superintendent in mind, it’s important to understand the Oakland School Board’s process for selecting this leader. The Oakland Board of Directors has retained the search firm Leadership Associates to assist in facilitating the search process. Based in California, Leadership Associates has supported school boards in their selection of superintendents in more than 350 California school districts and organizations since 1996. The Oakland Board has previously used the firm. The Board communicated their selection timeline — key dates are highlighted below. There is no perfect process for how to select a new superintendent, however, there are important factors in deciding how to approach it. We offer some context in the questions and answers to follow. That was a lot of information! What can I do? First, share your voice. 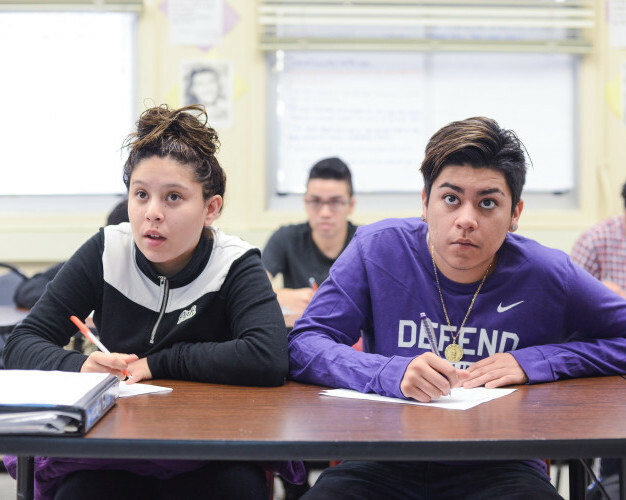 If you took OUSD’s Superintendent Search Survey, the Board and Leadership Associates are sure to use the data collected here closely when developing the ideal candidate profile, authoring the job description, and interviewing candidates. Keep an eye out for opportunities to share your voice like this in the future. Second, stay informed. Keep up-to-date on search happenings such that you can share your voice along the way in the process.